Lying On The Bridge describes a perfectly ordinary post-war upbringing where money was tight and pleasures were simple. But the author, Esther Cohen, also paints a funny and affectionate picture of life in a family that was unconventional by any measure, let alone in the context of a Glasgow tenement. 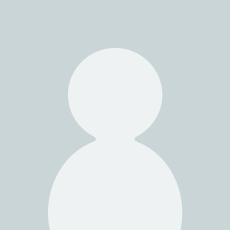 Her father was 56 when she was born, a refugee, a chemistry student, an enthusiastic reader of Hebrew and ancient Greek, a soldier in The Trenches in WWI, and a Christian ‘missionary to the Jews’. Esther Cohen recounts the ups and downs of life in a family home that sometimes seems to be in a parallel universe to the world outside. She shares wry and touching reflections on life with her three fascinating and irrepressible older brothers and the challenges they faced in trying to have fun within strict financial and behavioural constraints. As a young girl living under a parental regime inspired by the more conservative strands of both Judaism and Christianity, her small rebellions were agonisingly infrequent and touchingly innocuous – furtively colouring her lips with a red Smartie for one. The author introduces us to the foibles of her family and the compelling, at times hilarious, larger-than-life characters who populated her early life. While the subject matter may be personal, some of the underlying themes are universal. Reading between the laughs, we sense a child’s struggle to find her identity, and the development of a fledgling sense of morality. Above all, quietly but deeply embedded in these stories is an uplifting sense of the unshakeable, unconditional love that binds a family together. 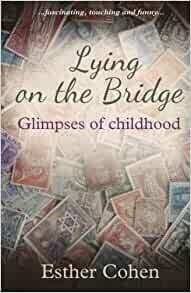 Start reading Lying on the Bridge: Glimpses of Childhood on your Kindle in under a minute. Esther and her husband run a busy piano teaching practice in Glasgow. Her five children have all grown up and left home. Though her four cats and one dog have replaced the children in number, they have proved a less appreciative audience for her stories. As well as being the perfect book for anyone with a sensitivity to Glasgow, this book deserves to be recognised more widely as a deeply thoughtful window on childhood. It is a personal and captivating insight into the mind of a young child; in this case in the context of a beautifully accounted post-war upbringing. Warm, witty and brilliantly written, this is a gem and I look forward to recommending it to many family and friends. Anyone from younger to older would enjoy Lying on the Bridge and sharing these thoughts, and I thoroughly recommend you do too! 5.0 out of 5 starsNeither history nor analysis, but a beautifully drawn picture. Esther Cohen is an intelligent, talented, feisty and independent-minded woman, so how does such a character emerge from the naivety and innocence of childhood and the strictness of a Jewish/Christian upbringing? 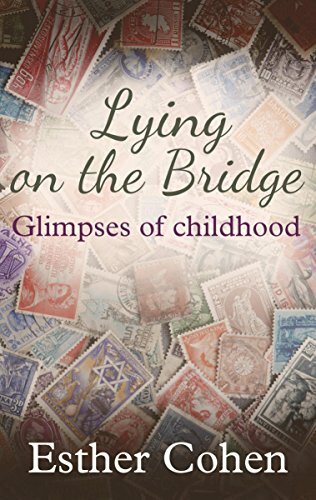 'Lying on the Bridge' is neither history nor analysis, but a beautifully drawn picture of the interaction between a young girl and her childhood environment - parents, siblings, cats, teachers, buildings, streets, neighbours, church etc. I closed the book with the thought, "I should do that for my kids." Wonderful read,nice easy chapters.However once you start reading this you will be unable to put it down.You will remember parts of your own childhood,and smile.I would strongly recommend this ,perfect also for the summer holidays.I was left hoping for a sequel.Hope Esther has another book in the pipeline!! This book is a lovely romp through the experiences of a little girl in a family of boys. I have read it once and will read it again in time. Thank you Ether Cohen for bringing a bit of joy into this world of ours. It would make great gift for anyone from children to grannies. Apart from all that it is written in impeccable English; I was not aware of the words, just the pictures that they conjured up in my mind. Having grown up north of the border in the 1950's I was captivated by these glimpses of another girl's life and the happy memories the author holds of her early days in a warm and loving family. It is a special book and I do hope we will see a sequel. The title is a bit too modest. The bite-sized chapters of this book are much more than mere "glimpses". Each one plays its part in creating a vivid, detailed, affectionate picture of the rarely-seen side of Glasgow in which the writer grew up - and the often hilarious larger-than-life characters who inhabited it. This is an inspiring and charming book. It gives insight to the narrator's childhood and more widely to human nature, affirming the kindness of the people Esther Cohen grew up amongst. We should all write our stories and share them with the next generation. 5.0 out of 5 starsBeautifully written.